Noncommercial KBP Runway Run took place to celebrate the start of the flying season and the opening of Terminal F. Specially for the event, the second runway was transformed into a running track. The team of Pulse sports drama feature was invited to open this official happening. “This is a story about a girl who heroically fights all terrible circum stances on the way to her dream. She dreams to go to the Olympiad, and there is only one way towards it, which is running. When I started working on the film I began running myself to better understand the story and the protagonist. Gradually this sport occupied an important place in my life. And I believe that running is very good. Because it means health, and health is the most important thing that we have. 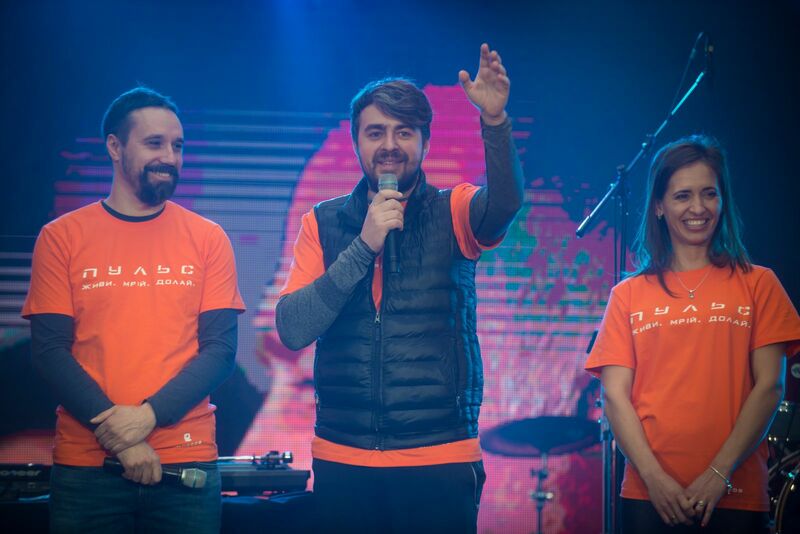 So eat avocados and run!”, says Serhiy Chebotarenko, Pulse director. What the film is about: This is a story of a young Ukrainian track-and-field athlete who lives in a small town and has a big dream – to make it to the Olympiad. Her sports career is only starting but after a terrible car accident the girl suffers grave injuries and almost loses her eyesight. It seems now that Oksana has lost her chances not only for the coveted Olympic Games but also for normal life. However, the girl is not planning to give up and aims to prove that there are no obstacles on the way to a real dream. “Firstofall, I wish every one to day a good start. Secondly, I wish you to always believe in yourselves and to keep moving towards your goal. And the main thing I wish you is health and victories. 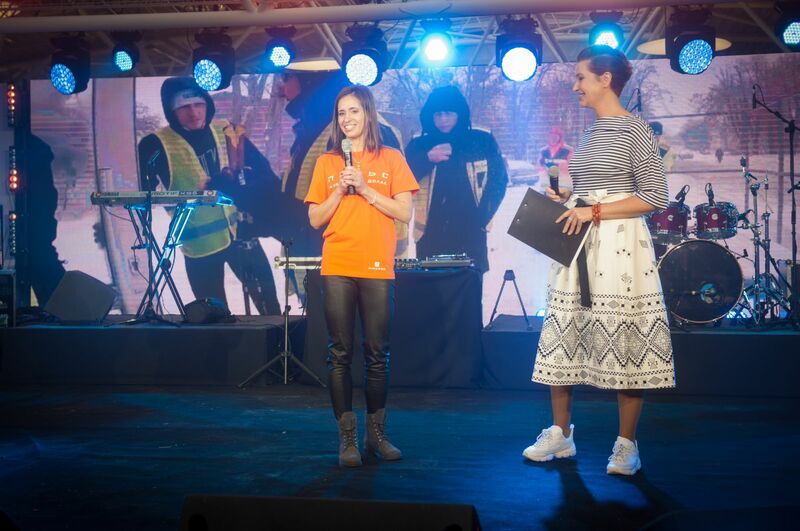 Not only here in marathons but in your lives as well – let us always be winners.” The audience met Oksana’s words with loud applause, and afterwards the hosts announced the start of the first run. According to preliminary data, the event hosted about 2,500 participants. The first was a five-kilometer run using pole walking technique. The athletes also ran three-, five- and ten-kilometer tracks. Among five-kilometer runners there were also Pulse team members: Serhiy Chebotarenko, Natalia Babenko, Yegor Olesov and Yaroslav Voytseshek joined by their colleagues from FILM.UA: Oleksiy Tkachenko, Oleksiy Tolubko, Hanna Dribnokhid, Oleksandr Pylayev and Yevhen Voronetsky. 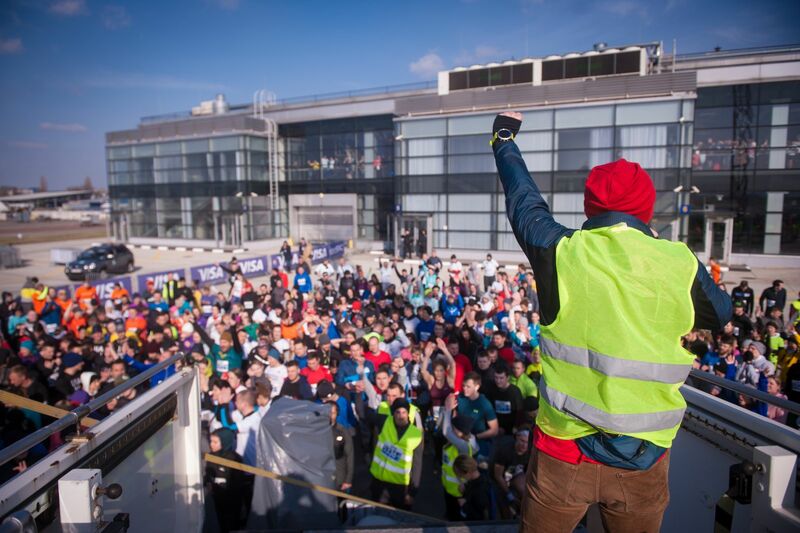 According to the organizers, KBP Runway Run is the biggest run in Ukraine organized on a functional runway. Such impressive event had to demonstrate that Boryspil airport is not just a necessary conditions for travels abroad but also a unique platform for social and cultural activities here in Ukraine. “We want flights from Boryspil to be associated with pleasant surprises and festive mood,” said Pavlo Ryabikin, CEO at Boryspil airport. The participation of Pulse team in the opening of KBP Runway Run and their running launched the first public campaign to support the release of Pulse sports drama. The premiere will take place in early 2020, and until now the team prepares a range of pre-premiere activities and tons of fascinating content for future viewers. You can follow project news on its official Facebook and Instagram pages. Synopsis: Due to a terrible car accident a young Ukrainian track-and-field athlete Oksana suffers numerous grave injuries and almost loses her eyesight. But after lengthy rehabilitation and return to workouts she wins a gold medal at Paralympic Games in Beijing. Cast: Natalia Babenko (Oksana), Viktoria Levchenko (Olena, Oksana’s sister), Natalia Dolya (mother), Oleksandr Kobzar (father), Stanislav Boklan (coach), Lilia Rebryk (coach Iryna), Akhtem Seitablayev (doctor), Roman Yasinovsky (Dmytro), Maksym Samchyk (Max), Serhiy Luzanovsky (Serhiy), and others.